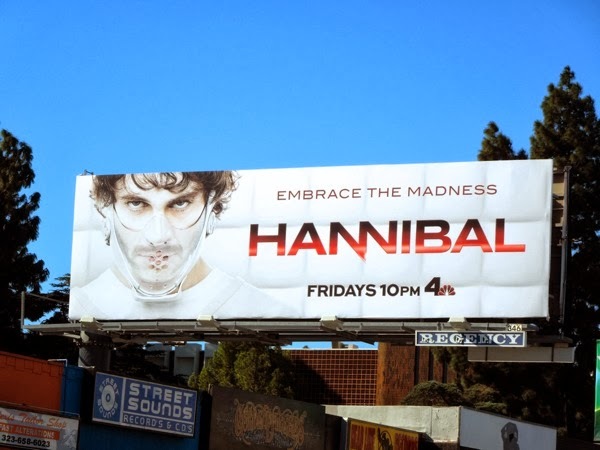 Around this time last year Daily Billboard chastised NBC for bringing Thomas Harris' fictional creations to the small screen due to a lack of imagination for once again reaching into their cinematic vaults rather than exploring fresh new territory. 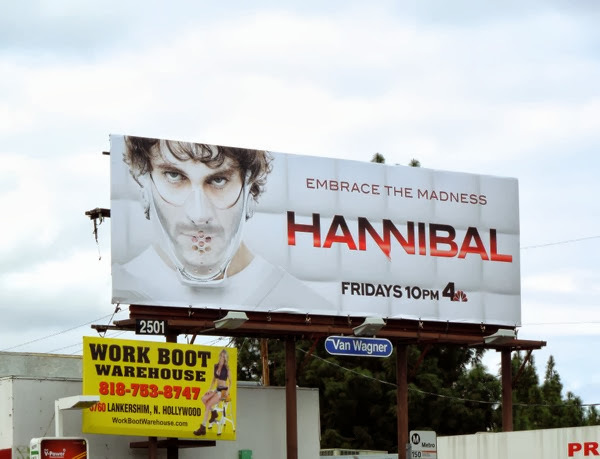 So, Daily Billboard is glad to have been proven wrong, as what could have been a totally unnecessary Hannibal Lecter gore-fest, turned into a rather compelling, twisty-turny psychological thriller, which totally messed with both 'Special FBI Agent Will Graham's' and our minds from week to week. 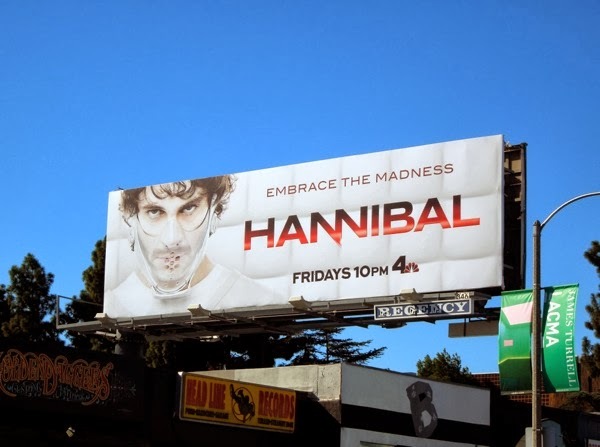 Kudos go to Bryan Fuller and his team for producing some mind-bending and surreal murders and visual imagery each episode (obviously someone really loves antlers), and credit to Hugh Dancy for portraying the mentally tortured and manipulated young criminal profiler (who can literally put himself in the mindset of the serial killers he pursues), and to Mads Mikkelson for cooking up a terrific 'Dr. Hannibal Lecter' to enjoy and digest on a weekly basis (along with his victim's innards). Will discovered Hannibal's secrets at the end of the first season and was falsely imprisoned, so this second season promo key art with him in straightjacket and restraint mask is a brilliant homage to the iconic horror villain's masked look from The Silence of the Lambs. 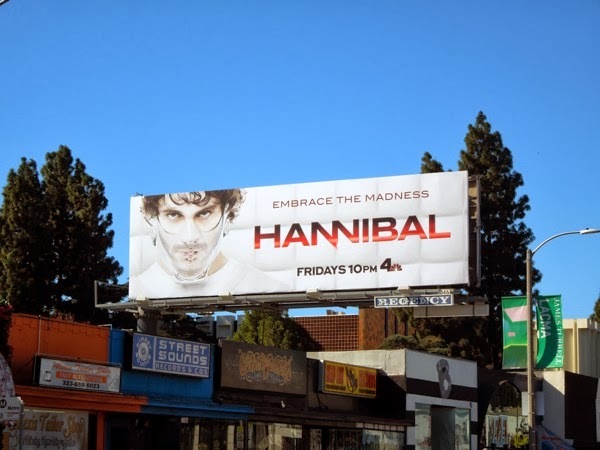 This season two 'Embrace the madness' billboard was first spied along Melrose Avenue at Spaulding Avenue on January 29, plus on a cloudier February 7, 2014 along Ventura Boulevard in Studio City. 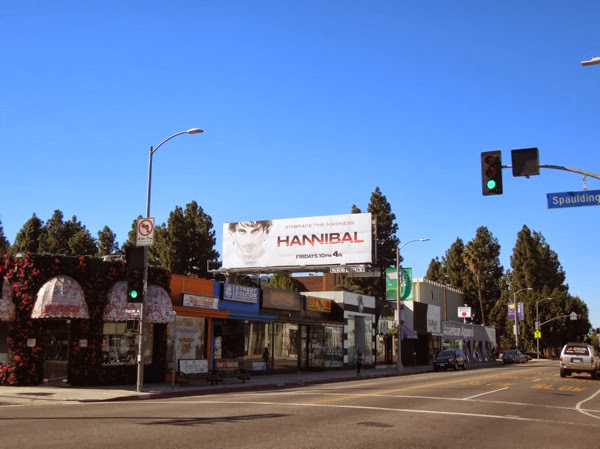 If you're a fan of the killer series, be sure to also check out this season one Hannibal billboard featuring the titular protagonist himself. The freshman show struggled to find its audience early on, so let's just hope the Friday night death slot won't put the final nail in the coffin of this riveting series in its sophomore year.